Men often complain that their partners don’t appreciate them or say what they like about them. The term ‘male ego’ is famous, and as a partner you must take care of your man’s ego. Praise him and appreciate his effort, efficiency, love, and sexual prowess. They really love to hear how good they are in bed. Most men don’t require constant appreciation but when something is good why not just say it and improve his day? Keep telling your man about his good looks, gestures, and whatever you like about him. Often women feel their men should get their clues or hints to find out what’s missing or bothering them, but men actually need good communication to know these things, and will rarely get your clues. Lack of communication leads to disappointment in women (as to why he is not getting any clue) and irritation in men. Men want their partners to have their own life and keep their own identity. This does not mean they don’t love you or are not interested in you, they will support you in your activities and plans. Have your own set of friends, goals, activities, and passion. You must have a life which is going to surprise your partner every day in a happy manner. This is one of the most important things a man desires in a relationship. If you are a woman who satisfies your man’s desires he will remember it always. Keep your man happy and he’ll keep you happy in return. Mostly men command, not demand, respect. This is a basic factor in a healthy relationship, you should respect your partner for what he has been doing for you, your relationship, and your family. He should feel his efforts are being acknowledged by you. Hardships will always be there but you should learn to conquer them together. Most men don’t like being manipulated. They expect their partners to know how to be treat someone with respect. A relationship free of mind games or blaming games lasts longer. Take care of the fragility of your relationship and trust the man you chose. This will help them trust you, love you, and respect you as well. Last but not least – comfort. 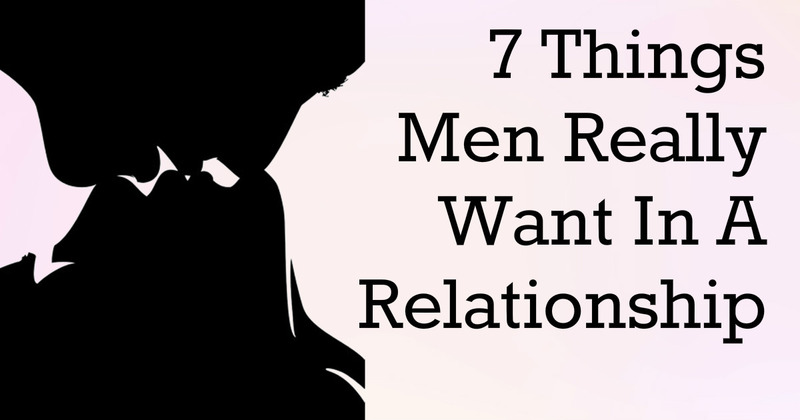 In their busy stressful life men want some peace, which they expect from their partner. They want to feel comfortable and relaxed when they are with you, which will help relieve their stress. This is about being in touch with them emotionally, men do have emotions although they may not show it. They get strength from you, so you should be supportive.